Bitter melon looks like the cucumber’s uglier cousin. It’s bumpy and reminiscent of a gourd. The plant has a long history of being used as both a food and a medicine. In holistic health circles, it’s famous for its ability to lower blood sugar levels. Before the development of insulin, various cultures treated diabetes with a host of traditional plant remedies. Nowadays, bitter melon juice is being touted as a cure for Type 2 (adult onset) diabetes. Since the prevalence of diabetes is reaching a critical point, it’s worth taking a closer look at the benefits of bitter melon. Every part of bitter melon—but most notably the fruit—contains chemical compounds similar to insulin. This is the hormone that allows blood sugar to pass from the bloodstream into the cells. Diabetics do not make enough insulin, or the cells become resistant to its effect. Several studies on people and animals have found that the insulin-like compounds in bitter melon reduce blood sugar and help treat diabetes; however, critics say the proof is not sufficient. This is because only double-blind placebo-controlled studies are accepted as evidence. As yet no large study of this type has been done on bitter melon. Don’t count on seeing such a study any time soon. There’s no monetary incentive to do it for a plant that’s easy to grow and can’t be patented. There is plenty of proof based on observation. 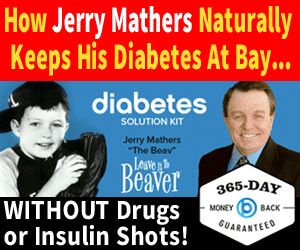 Herbalists and naturopathic doctors often recommend it to their diabetic patients. The primary problem with bitter melon is that it works too well. 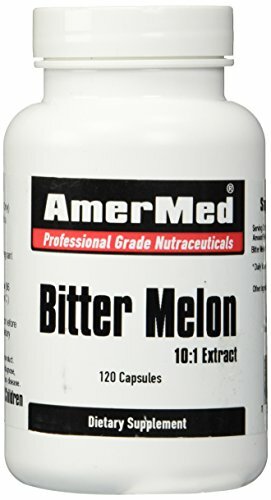 If you’re already taking medication, let your doctor know you want to use bitter melon so your medications can be adjusted. Adding it to your regimen could cause diabetes complications—hypoglycemia. Cut bitter melon into fine pieces. Add salt, turmeric powder, and let the mixture alone for 15 minutes. Heat 2 tsp of olive oil in a frying pan, add mustard seeds, and when the mixture pops, add 3/4 of a tsp of Asafoetida. Squeeze the water out from the bitter melon and add it to the oil. Add red chili powder and fry well until fully cooked. You can buy bitter melon health food stores or Asian markets when it’s in season. Bitter melon tea is made by boiling the fruit, or you can squeeze the fruit for bitter melon juice. If you prefer, just buy the supplement in pill form. Bitter melon has been eaten by hundreds of generations of people so we know it is safe to eat, but Westerners may take a while to get used to its bitter taste. If you decide to eat the fruit, a small unripe melon divided 3 ways eaten over the course of the day is sufficient. One of the traditional uses is for abortion so pregnant women should stay away. Safety standards haven’t been determined for children. Bitter melon has also been used to stimulate menstruation, increase fertility, stimulate milk supply in nursing mothers, and as an aphrodisiac. There is still much research to do on this plant, so do use common sense. Herbal bitters have a long history as a digestive aid -- perfect for holiday indigestion. Do you know someone who could benefit from bitter melon? I had pre diabetes and used this to keep from developing it full blown. It does work. Good warning about combining this with medication you may already be taking. You definitely need to be careful about the 2 working together and dropping your levels too low. Unfortunately true. Thanks for commenting! Interesting! And you're right when you say, "Don’t count on seeing such a study any time soon. There’s no monetary incentive to do it for a plant that’s easy to grow and can’t be patented". @Digby_Adams It's a curious little thing. Thanks for stopping by! Well you've got me curious about this one. I think that I'll take a look around for it. Thank you for a very interesting article.